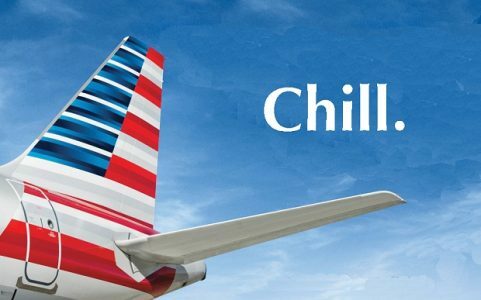 American Airlines has launched a new promotional campaign, titled “The World’s Greatest Flyers,” on YouTube. The response was jaw-droppingly awful. The campaign was savaged on social media. The video does not reference the American product at all. Rather, it focuses on how “the greatest flyers” behave. “They like babies, but they bring noise-canceling headphones.” “They know their mood contributes to the mood of the flight.” “They always ask before they raise or lower the window shade.” And, inexplicably, “They know they have a limited time on earth and even less above it.” The campaign will be featured in frequent-flyer promotions and internal marketing, suggesting that American is gently nudging customers and employees toward a more civilized way of thinking about flying. Many viewers didn’t see take it that way. They said they felt “insulted,” “lectured to,” “blamed” for reacting to the realities of modern air travel. One of the print ads pronounces, “Always upbeat, great flyers make the best of their situation no matter where they’re sitting.” That’s easy to say when you’re sitting in first class, many commenters noted. It’s a little harder when you’re boxed into a middle seat with minimal legroom and no place to put your arms. Or, as one wag put it: “Coach lives matter!” To watch the video at Travel Market Report, click here.